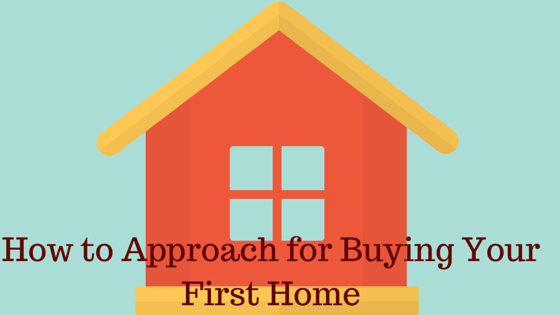 Buying a flat or a residential house is a big decision one takes in life. The decision is to be implemented with utmost care. If you are searching for a checklist before buying the flat here is the guide what you should check before buying a flat.Buying a flat or residential house involves a big chunk of amount of our lifetime income. Obviously, you need to be extra cautious before deciding to buy a flat. You have to think all possibilities and make a decision before you pay advance for the flat. Moreover, you may have to take a home loan for which you have to pay a good amount as EMI that will pinch you over a long period of time. The first important thing which you should consider is location. Here the location means the area where the flat is situated. You should select a flat where the basic amenities ae present and communication is good with other parts of the city. The place is to be safe and secure so that you can live with your families peacefully without any fear. If you want to purchase a flat at any developing area for investment in real estate analyse the location properly before deciding to buy it. Also check the plot physically before booking the flat. The flat location inside the housing complex is also very important as the location of the plot. Somebody may prefer a south-east facing flat at a specific floor. You may have to give higher charges when you select a flat at higher elevation level. Talk to your builder about the availability of the flat and select the flat according to your choice. Usually, size of the flat is mentioned with a super built-up area. Super built-up area is decided considering the entire area including lift, stairs, thickness of the wall etc. Hence, carpet area is the proper measurement of the flat to consider when you buy the property. The carpet area can be as less as 30 percent with respect to super built-up area. Choosing a builder is a great task before buying a property. The builder is to be reputed of making good quality flats. There should be no compromise with the quality of the flats. Try to include the nitty gritty about the flat in the contract agreement but still there is a chance not to honour the contract by builders. Hence select a reputed builder with years of experience so that they maintain the good quality. Also, check whether the builder is well known for completing the project on time. This is a serious issue many are facing now in India. When you decide to buy a flat check the entire property related document from the builder. Ask the builder about all the document such as approved building plan, development agreement, clearance from statutory bodies etc. Here is a list of documents to be checked before buying a flat from the builder. You will know the owner of the property by checking the title deed. It should be in the name of seller or the builder when you buy the flat from the builder. Sometimes builder has an agreement with land owner to develop the property. You have to check the document. You can take the help of a lawyer to check and verify all the property related document. Ensure that the owner has the encumbrance certificate before buying the property. It also ensure you that the property is free from any legal dues. In some cases people take mortgage loans with the property. So when you buy a resale flat check that the owner has repaid the entire amount and the property is now free to sell. You check the approval of sanction plan of the building from local authorities. Without these plans builder cannot make any development over the land. If you are buying a resale property ask the owner t=about the last property bill paid. You can easily check if there is any pending bill. The possession time or duration of the building construction is very crucial when you buy an under construction flat. The developers or builders are failing to hand over the property repeatedly in India. The shortage of labour, working capital and decrease in booking of flat are the main reasons of difficulties for timely completion of a project. Here a reputed builder with a good residential project can save you. Though Government of India has launched Real Estate Regulatory Authority (RERA) we don’t see any improvement in buyer’s sentiment under this plan. The rules and regulations are to be properly implemented to reap the benefits of RERA. Choose the bank from where you will get a home loan. There are some banks who has checked all the legality of the project and already approved the property. If you select a bank from those banks the processing will be much faster and easy compare to other banks. Check your loan eligibility with the bank and the applicable interest rate. The credit score is very important to sanction a loan for a bank. A credit score of 750+ is good enough to sanction a loan to the customer. Click here to know how to check your credit score for free. A residential complex has various blocks inside the complex. You have to choose the flat according to your requirement. There may be some hidden charges of selecting the best one. It is called as preferred location charges or PLC. This charge varies from builder to builder. Generally, it is applicable for high rises. Enquire about parking space charge when you decide to buy a flat. Many residential complexes have covered as well as open car parking space with different costs. The property price is to be according to your budget. When you are searching a residential flat check about the prices and make a list according to your budget. You can check various websites about the prices of flats in the locality and have an overview of the prices. Also ask the two, three builders to give you genuine quotation of the flat in the same locality which will help you to have an idea of the price of the flat. There are various payment plans to buy a flat. You have to give the booking amount ranges from 10%-20% of the total property value while booking the flat. Rest of the payment will be done after the 30 days of booking or as agreed by buyer and seller in the agreement. If you take a loan the EMI shall be started just after the registration. 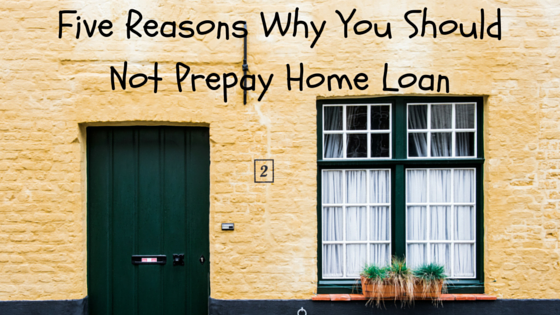 You may be interested to know why you should not prepay home loan. You have to pay 10%-20% of total payment while booking the flat. The rest of the payment is linked with different stages of construction of the flat. You will get more time to accrue the money for payment for their home. You have to give pre EMI interest of the loan in case you take a loan under this plan. The plan is beneficial for the buyer as they can minimise the risk of delaying the possession by builders. in the flexi Payment plan buyer needs to pay sequentially as agreed by builder and buyer. This plan is related to various construction stages of the project. Buyer need to pay a fixed period under this plan. In this plan builder has to pay the interest of the loan. This plan is also minimizes the risk of delay in completion of project by builder. Know more about subvention plan here. After selecting the property or flat you need to register the property in your name. You have to make it register from the local statutory body after paying the registration fees and stamp duty. Keep a provision for this expense when you select a property. After the registration of the flat, the builder will give you the possession of the flat or property. Out of the above, possession of the flat or timely completion of the project is the biggest concern for a buyer. Here you have to choose a reputed builder with a good track record of completing the projects and transparency. Ask the builder any question you have and try to get information as much as you can before you buy the flat. Buying a flat is a big step in your life. However, you remember the above points will help you in a big way. Share the article with others. Thank Your for Such and informative post. As a Real Estate Developer we look for educated customers / Client that don’t have any confusions and we try answers every query that they have. I will Share this post with all the upcoming clients. I am happy that you are educating your client which actually helps you to increase your sells ethically.